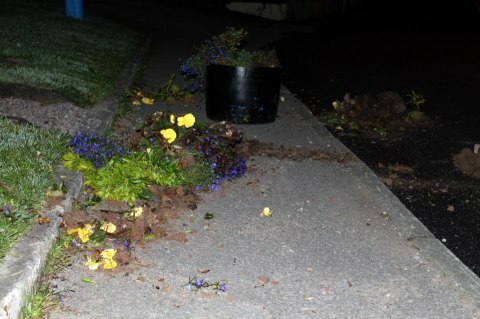 Some poor mindless idiots decided on Saturday night to attack the flower tubs planted recently at the Millinium Park in Coachford. The drunken, jealous, fools rolled the planters along the footpath and spilled out the contents along the road. Why these simpletons undertook this destruction of these tubs no one, only themselves know. The tubs, planted by the Tidy Towns Committee helped to brighten up the area and were an excellent addition to the area. It can only be assumed that the stupid vandals saw something really offensive about plants and flowers.